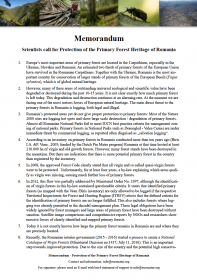 This rate has been calculated using 0,65 cubic meters of illegally cut wood per second in Romania according to the secret but leaked version of the latest Romanian National Forestry Inventory (IFN). The IFN indicates that 38,6 million m3 of wood were missing from Romanian forests each year between 2014 and 2018. 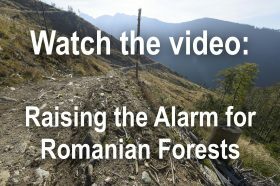 But only 18 million m3 have been cut legally, according to the Romanian Forest Management Plans. This means that 20,6 million m3 are being cut illegally each year, which calculates to the rate of 0,65 m3 per second – which would as an example be the volume of a more than 20 metre tall fir tree with a diameter of about 30 cm at breast height. The calculation was made using one of the most recognized formula for measuring wood (Petras & Pajtik formula). This tree size is used as an average and we acknowledge that number and species of trees may vary from a place to place. This counter represents an average of the illegal logging for the past 4 years and is used here to calculate the current illegal cuttings during Romania´s EU-presidency. The amount includes protected areas (such as National Parks and Natura 2000 sites) and virgin forests including many hundreds of years old beech forest. The counter aims to reveal the scale of the unfolding drama occurring now in Europe’s last great paradise forests and to raise the awareness and attention of European authorities, media and citizens. 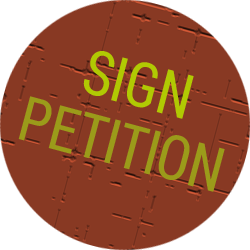 You can contribute by spreading the word and signing the petition .